Be it any physical disorder due to any particular reason or the consequences of ageing, many individuals face problems to move in their day to day life. 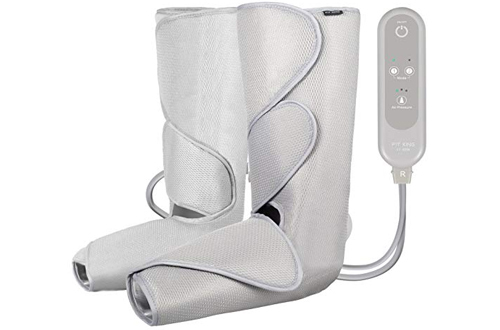 To aid them in obtaining mobility, wheelchairs are invented. But these wheelchairs need manual power as it couldn’t function automatically. Thus, electric lightweight wheelchairs were introduced to the needy individuals which made manoeuvrability much easier. With the use of battery power and joystick, the movement from one place to another got better. And the best part is that one does not have to stay dependant on other human beings. 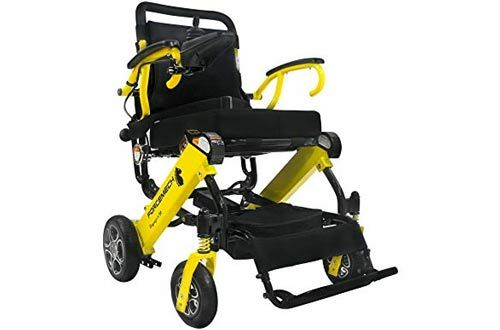 The wheelchairs powered by battery offer many other benefits and have exclusive features such as the adjustable armrest, footrest, handle to lift up etc for making the whole thing a hassle-free operation. 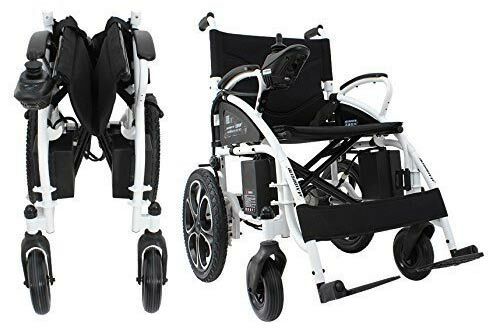 So, we present to you only the top electric wheelchairs that provide unmatched functions and will be your companion every time. 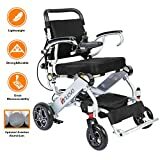 For all those looking for a wheelchair with combo facility of safety and easy operation, this FDA approved wheelchair is the one. Having a joystick, stable footrest and anti-leaning rear wheels; this is a premium package that will command your attention at every step. 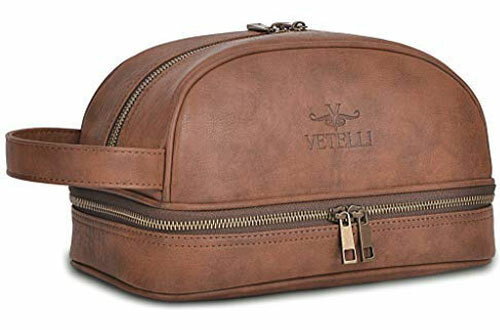 As it is light in weight, you can transport it anywhere and store it without getting any frowns. Equipped with dual lithium battery for 12.5 miles per charge. Slope capacity is of 6 to 8 degrees. Comes with anti-tipper and seat-belt. 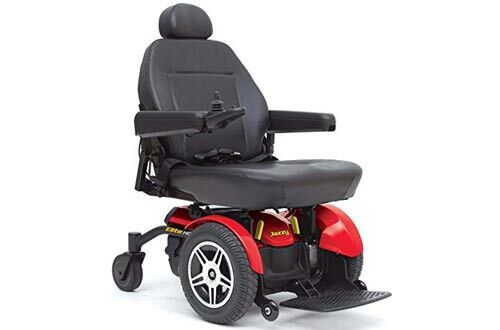 Here comes a heavy-duty lightweight powerful motor wheelchair which protects itself from wear and tears via a shroud. 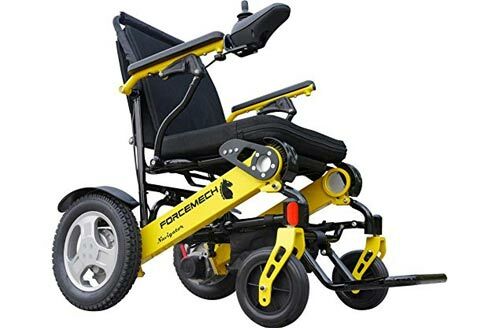 With a weighing capacity of 450 lbs and ground clearance of 3 inches, the limited suspension type wheelchair comes with a 5-year limited warranty. Plus, the front wheel is anti-tip and it includes sturdy casters of 6”. Electro-mechanical along with the regenerative brake system. Turning radius of 24 inches and front wheel drive. Have 14” wheels that flat-free drive. Dimension being – 35.5 x 24.5 x 50 inches. 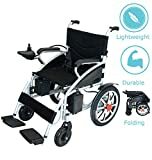 The newest addition to the range of ultra-portable folding wheelchair, its metal alloy frame allows weight up to 265 lbs. 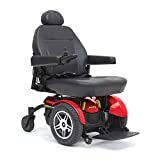 The speciality of this wheelchair comes from rigid polyurethane material and it is known for its intelligent electromagnetic brakes. 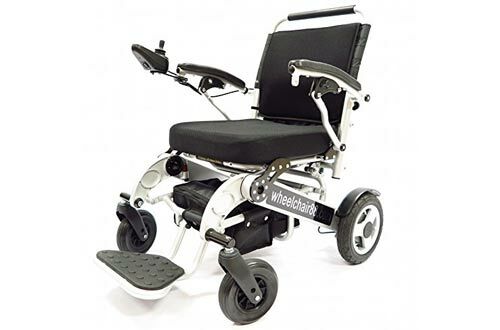 Another exquisite feature of this wheelchair is its removable standard European dual-core controller which makes it suitable for both air and cruise travel. Dual lithium batteries of 6 Ah for a travelling distance of 16 miles. It offers maximum climbing slope of 10 degrees. Motor Power of 200W and 2 brushless motors. Has ground clearance of 3.5 inches. This electric wheelchair and scooter model having a 2-year warranty period is perfect for people weighing 330 pounds. With a fast folding capacity, this wheelchair has an anti-tilt format and travel bag. The cushioned seat’s width is 18 inches, with stainless connectors that can be detached easily and thickly padded seat. The riding capacity is also up to 28 miles, with anti-shock format for sharp turns. Rubberised rear tires with a brushless motor system. The backrest is high on ergonomics and footrest has a non-slip surface. Stainless steel connector on the joystick for direction control. Lithium-ion polymer battery holds a large amount of power. 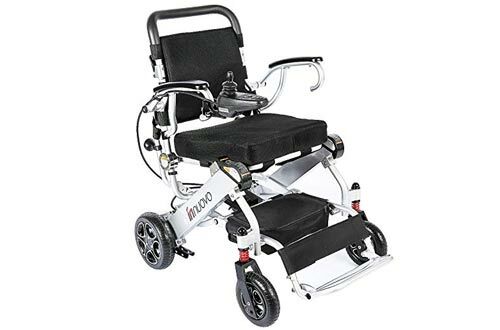 If there is one electric wheelchair that is specifically recommended by doctors to prevent bedsore, then this is it! Having the weight of 50lbs, this allows the joystick to be placed on either side. The best part of this wheelchair is its updated controller with direction control facility. Plus, it has as an aluminium frame and comes with a brushless motor. Dual mode – manual and electric is available. 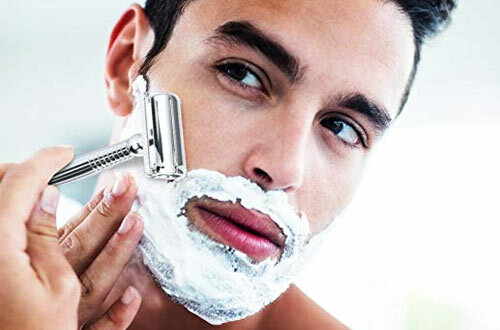 Free replacement of lifetime accessory. Dual lithium batteries covering 20 Km. 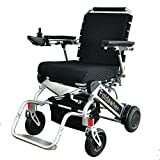 As the brand name suggests, this e-power wheelchair comes equipped with a lithium-ion battery with a 16-miles mileage. 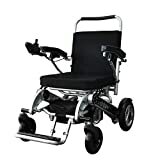 With unbeatable durability and non-flat rear wheels of 12.5 inch, the wheelchair is suitable for the roughest of roads. Also, it has the warranty from the house of Forcemech and can carry weight up to 397 lbs. 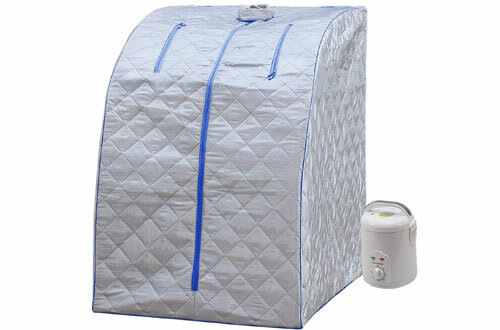 Easy to fold and extremely portable plus can be packed up in car trunks. 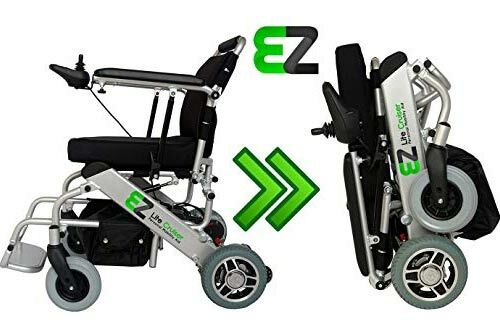 For people with physical challenges yet holding up strong, the gamechanger EZ Lite Cruiser is the one. With a frame made of aluminium alloy and turning radius of 33 inches, the wheelchair holds a ground clearance of 3.9 for uneven ground. A set of anti-tip wheels and seatbelt increases the level of personal comfort. Additionally, the lithium-ion battery allows a driving range of 10 miles with the option of removable seats. Further, it has included a handle for facilitating hassle-free lifting situations. 8-inches rear wheels provide shock absorption and maintain stability. 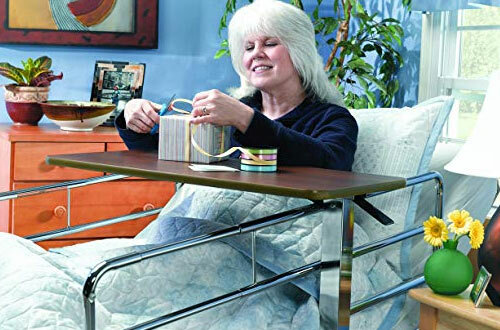 Allows adjustable armrests and an easily accessible seat. Presence of joystick for controlling of the chair. This travel wheelchair is that most-awaited piece of good news courtesy of its positive values. Touted as the best compact power wheelchair which can open in mere one second, its 43.3 lbs battery reminds one of its iPad counterparts. 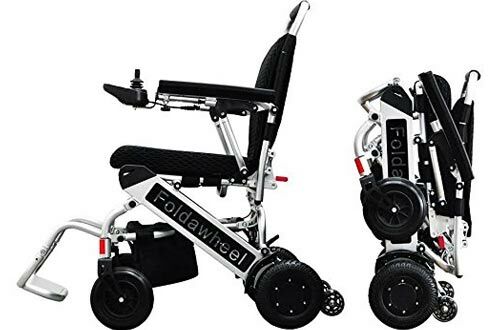 Foldawheel has the capacity to travel up to 16 miles when charged and on a single battery and promises to serve your purpose for a long time. Equipped with energy-saving and durable brushless motors. 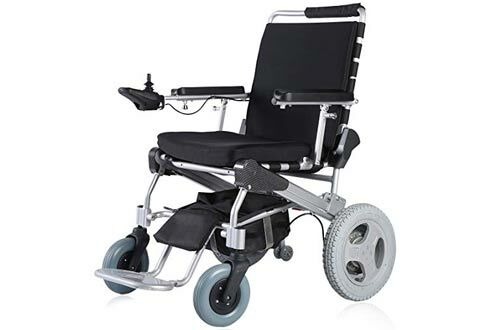 The wheelchair uses lithium polymer batteries making it lightweight and suitable for carrying. Storage bag present below the chair. Comes with anti-tippers and has a foldable footrest. With this Next Generation lightweight deluxe mobility fold, you can experience ultimate comfort. 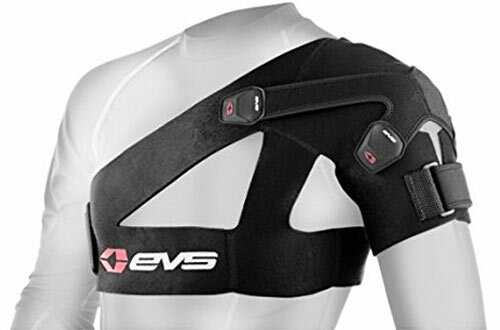 Whether it is the well-crafted frame or the back support which helps one to recline in 5 different positions, this is another name for relief. Its 12-inches rugged wheel and presence of lithium-ion battery ease both indoor and outdoor usage. The best aspect of this wheelchair is its travel-friendly weight of 58 pounds without battery and 64 pounds with battery. This wheelchair provides a 10Ah battery that is suitable for air travel along with a battery charger. Batteries are chargeable with the use of a regular charger. 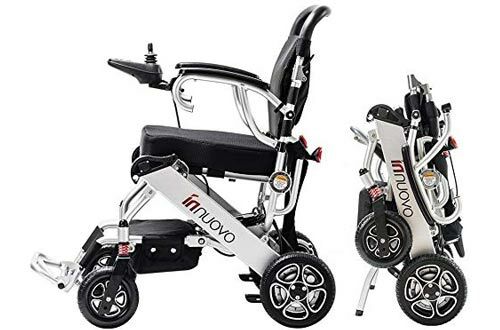 Packed up with a host of safety measures, the folding lightweight motorized electric wheelchair weighing only 80 pounds has a joystick for easy operation. Along with this, its rear wheels and footrest are comparatively stable with a shock absorber present at the front wheel. The aluminium alloy construction and the swing in the footrest add-on to its durability feature. The durable rear, as well as front wheels, makes it easy to fold and carry onto any vehicle. For obtaining greater mobility, the electric wheelchair foldable will provide you greater flexibility as it is hassle-free to carry around. Read more about the portable massage chairs.